East Texas Baptist University is located in Marshall, Texas, a historic city of 25,000 nestled in the scenic piney woods of East Texas. It is part of a larger metropolitan area of Longview, Texas, and Shreveport, Louisiana, and is located 150 miles east of Dallas, on Interstate 20. Marshall is in the center of a recreational and tourist region, and is near the Caddo Lake recreational area. ETBU provides academic excellence while integrating faith with learning.There are over 40 programs of study with several courses offered through travel study which give opportunities to see the world while completing your education. More than 85% of faculty members have the highest possible degree in their field. 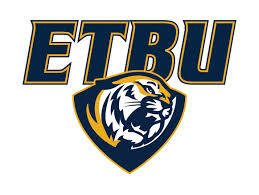 Excellent facilities and quality staff round out a complete commitment to provide a campus culture and experience that will help students prepare for life and their career.You will find an incredible campus community at ETBU. About 85% of students live on campus and participate in numerous clubs and organizations. A vibrant campus life filled with student activities and intramural sports provide students the ability to gain important leadership skills that are vital to success in life.